You handle the driving and let Tetra handle everything else! 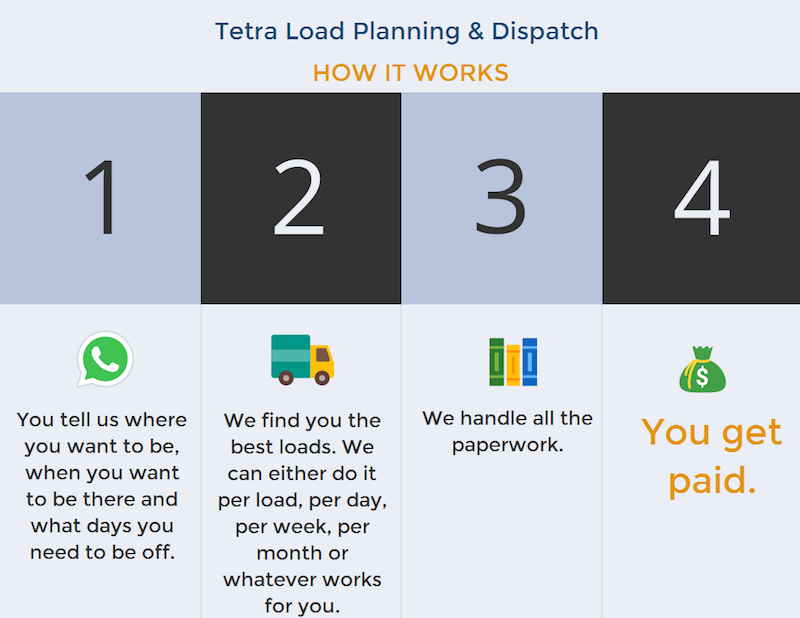 Tetra Load Planning and Dispatch is an independent company specializing in easy, efficient and transparent truck dispatch and load planning services for owner-operators and transportation companies with 10 trucks or less. We can help keep you moving and grow your business as your one stop for finding loads, managing the paperwork and getting you paid. We will help your trucks run more efficiently by planning ahead, so you are looking beyond the load you are currently hauling. 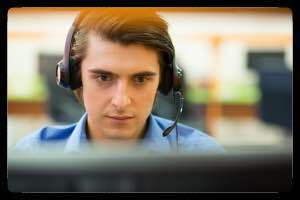 The experienced Tetra staff offer a unique background in the transportation industry, which has created direct relationships with brokers and shippers in key areas. These unmatched relationships are the key to us finding you the best loads. From owner-operators to owners of trucking companies with fleets of 1-10 trucks hauling flatbed, reefer, dry van and other loads throughout the United States we are here to keep you moving. At Tetra our goal is to provide you with transparency and personal service. We understand that not ALL businesses are created equal. Each business is unique and has different needs and objectives. We want to know what is important to you and we will work hard to make that happen. Learn more about the services we offer and our pricing. How happy would you be if you could have a say in where you went and had a team behind you helping you to run your small business? With Tetra Load Planning and Dispatch you can get all that. We are your one stop for finding loads, managing paperwork and getting paid! We provide truck dispatch services for flatbed loads, reefer loads, dry van loads and others throughout the United States. Let Tetra find you loads and keep your trucks moving.